A new global system that starts with something simple: organic sheets. Join the movement on Jan 30. Sign up for crowdfund info, updates, and discounts. Why not celebrate the love you have for your fur babies! I have brought together my interior design business and the love I have for animals to create Woof And Company, a decorative pillow line for all animal lovers! Now you can decorate your home with stylish throw pillows, handmade with quality decorator fabrics in great coordinating colors. Complete with ink printed phrases to fit that perfect saying that describes that special place in your heart that you have for your pet. Each one of my pillows is uniquely designed and fabricated by me, in my Nevada home. 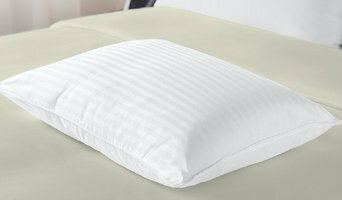 Due to the handmade nature of each pillow, no two are alike and are one-of-a-kind. 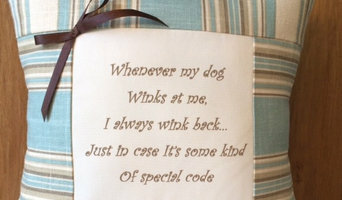 If your pillow purchase is a gift for that special animal lover, I can ship direct and include a cute gift card . Just leave a message in the "Note to Seller" box with the exact sentiment you would like to say. If you have a special saying that is not offered in my line, please contact me by clicking the "Ask a question" box and together we can design that perfect pillow just for you and your pet! I want my customers to enjoy their pillows as much as I enjoy creating them. You can fully expect the highest quality products from Southshore Fine Linens. Our bedding has been carefully made with supervision present at the factories to inspect each and every aspect of the production. We specialize in over-sized and extra deep pocket sheet sets. Our sheets have 21 inch deep pockets. Our packaging is customized and high-end and leaves an incredible impression (in case you need gifts). Sobel Westex is the premier luxury resort supplier for bed linens, bath towels, and pillows. We recently made our quality products available to the public, so now you can experience the same luxurious bedding and bath towels you enjoyed on vacation, at home. Baltic Linen Company was founded in 1936 and has been a family owned company for 77 years. Baltic Linen is a leading supplier of bed and bath linens for four divisions of operation; Hospitality, Cruise, Retail and Healthcare. With a corporate headquarters based in Lake Success, NY, there is an additional showroom location in the heart of midtown Manhattan at 295 5th Avenue. There resides our in-house design and development team. This is where our retail partners come to work on new product development for their stores. Our design team has graduated from the most prestigious Art and Design schools in the US; they are focused on developing quality products at affordable prices. They travel Europe with access to the latest European home fashions trend shows. We have a 30 year partnership with factories based in Asia and Europe, so we have access to competitively priced core textile products. With an in-house Laundry and Testing facility located in Florida, over 8 distribution centers, a substantial sales force and a customer service support system, Baltic Linen is an all inclusive vertical operation, and we are happy to service your textile needs. Founded over four decades ago in Melbourne Australia, Di Lewis Studios combines an Australian artistic vision with striking color palettes to deliver distinctive home décor for the modern lifestyle, at an affordable price. Di Lewis traveled the globe seeking highly creative, talented designers with a flair for color to produce vibrant collections of hand painted impressionist florals, contemporary, abstract & children’s designs. These designs came to form the Di Lewis brand of home furnishings. Today the studio archive is comprised of over 2,000 pieces of highly curated, hand-painted designs birthed by international artists across all artistic mediums. And of course like everyone else, Di Lewis has gone digital. We offer an extensive line of throw pillow covers, art prints and personalized pillowcases, drawing from our best-selling designs over the past four decades. Our vast collection of Wall Art spans from Kids Art, to Fashion & Animal Illustrations, to Abstract & Impressionist Prints. Our Throw Pillow Covers come in a variety of prints, including Animal & Vintage designs, and our Personalized Pillow Cases with vibrant colors and fun designs are perfect for both kids and adults. At Di Lewis you'll find the perfect gift, or the final touch for your home décor. GDW Funding was founded by a group of experienced small business owners and venture startups to provide business entrepreneurs with access to small business funding solutions that's quick, easy and affordable. Our goal is to provide top-notch support to all of our clients from application, to funding and after funding. traghetti trapani Favignana-Centro Prenotazioni Traghetti Favignana: orari, prezzi e biglietti on line e tramite call center al numero 0565 912111. The community's undisputed source for all things Mixed Martial Arts. Find the right gear, get the right training, and build your perfect style. We hand craft delightful bath and body treats made from naturally luxurious ingredients that indulge the senses and keep skin looking healthy, radiant and fresh. One of the most common problems in bathrooms is lack of storage space. Buying a bathroom vanity at your local building supply store may be the answer, but for more challenging storage solutions, you’ll want to contact a Las Vegas, NV bedding and bath manufacturer or retailer that specializes in custom storage options and unique bathroom furniture and accessories. From heated towel bars to shower curtains, use the Houzz Professionals listings to find Las Vegas, NV bedding and bath retailers with budget-friendly bathware and modern bath accessories. Some bathroom remodelers specialize in affordable equipment like grab bars, safety tubs and showers and other bathroom accessories designed for those with different physical needs. Does your bathroom need converting or upgrading for special needs? Is it time to wake up your master bedroom with some new bed linens? Since that very first white sale in Philadelphia’s John Wanamaker and Co. department store in 1878, January has always been a good month to buy bed linens. Those looking for hand-crafted custom bedding and draperies can find a Las Vegas, NV company that makes and sells quality bed products. Many bed and bath retail outlets sell a smaller selection of exclusive brands.